There’s a small green fruit you could be including in your salads and smoothies that’s rich in vitamins A, C, E, and K, which are essential for healthy eyes, heart, lungs, kidneys, and immune system. It’s full of nutrients like potassium and magnesium that are important for the health and development of muscles, kidneys, and bones. Previous research has shown this super fruit helps shut down many of the processes that trigger the growth of cancer cells in our bodies. In fact, scientists have proved some of the nutrients actually destroy cancer cells. The good news keeps coming. New studies continue to reveal more cancer-fighting secrets hiding in places we hadn’t previously considered. Read on to learn about the newly-discovered cancer-fighting power of this super fruit…. Did you guess that this cancer-fighting powerhouse is the humble avocado? I’m a long-time advocate of this food, it’s so loaded with benefits. Yes, it’s high fat – extremely high fat, to tell the truth — but don’t let that put you off. This fat is good for you and you can eat as much as you want. As I’ve said over and over, many times (and proven, I hope) – it’s carbs you need to worry about, not fats, and especially not this one. Put aside your lingering worries about eating fat, and start reaping the benefits of avocado. The research just keeps piling up on its nutritional and cancer-fighting value. . .
Now a 2015 study published in the journal Cancer Research offers new hope in combating this devastating cancer. Avocatin B is also referred to as a nutraceutical, meaning it’s a food-derived compound with clinical, medical benefits. It’s mostly found in the pit of the avocado, not the fruit, but in a moment I’ll tell you how you can consume this compound anyway. You’ll want to, because it stops fatty acid oxidation in cancer cells, preventing them from digesting the fats they need to fuel their growth and reproduction. It can greatly reduce the chances of relapse, as well as extending life expectancy, for those already afflicted with AML. Now, one of the researchers behind this discovery is taking things a step further. Other research likewise suggests that avocado seed husks, which are normally discarded, have hidden potential for our health in several ways, including as a cancer fighter. A chemist at the University of Texas ground the husks of 300 avocado seeds, then analyzed the chemical composition of the resulting husk oil. Among the healthful compounds they found was heptacosane. Research suggests that heptacosane may also inhibit the growth of tumor cells.6 It is not found in the flesh of the avocado, only in the seed husks. The next step in this research will be to modify the natural compounds that were found, so they can be used to make medications that have few or no side effects. In the meantime, you can purchase avocado seed oil online, or from natural food markets. While avocado oil also has health benefits, in this case you are looking for avocado seed oil. Cold-pressed is better, even if the oil is a bit cloudy. The alternative is to extract oil from avocado pits yourself. There are plenty of tutorials online, although the process involves a lot of work. Now, getting back to the fruit (which I’m sure most of us prefer). . .
Nasopharyngeal cancer is a rare form of head and neck cancer. It starts in the nasopharynx, the upper part of the throat, behind the nose. Only about one person out of 100,000 in North America will ever get it. Surgery and chemotherapy in this delicate area near the brain may have devastating side effects. While it’s not a magic bullet to cure or prevent cancer, including folate-rich avocados in your daily diet will help your body produce and maintain new cells and prevent changes to your DNA that may lead to cancer. Lycopene and lutein are carotenoids. More recent studies have confirmed that, along with another carotenoid, beta carotene, they lower risk of lung cancer when consumed in fruits and vegetables, rather than in supplement form. This seems to be true even for smokers, where previously some studies have indicated carotenoids may be harmful. Avocados contain beta carotene and lutein in abundance. And the healthy fats in avocados promote absorption of carotenoids from other fruits and vegetables too. Vitamin E protects our bodies from the damage caused by free radicals. Getting enough vitamin E is important for both men and women, and one avocado contains roughly 30% of the recommended daily allowance (RDA). The form of vitamin E found in avocados, vitamin E succinate, contains alphatocopheryl, which has been proven to fight cancer cells by turning off their signaling agents, slowing their growth and even inducing apoptosis (cell death). Eating even half an avocado each day will supercharge your diet with cancer-fighting nutrients. When you buy avocados in the store, they will usually be hard and unripe. That’s okay. Pick any that appear evenly colored and solid. If you want them to ripen faster, put them in a paper bag with a banana. If the skin gives a little when pushed, it’s ready to eat. If it’s already turned soft and mushy, it’s overripe. How you get to the meat of the avocado is important. Most carotenoids and other nutrients hide just under the fruit’s hard outer skin, so use a spoon to scrape away all the meat you can. If the taste or texture of the fruit itself doesn’t appeal to you, try adding avocados to other dishes instead of eating them raw. Because of their fatty consistency, you can substitute avocados for butter and/or eggs in baking, add one to a smoothie, use them to thicken soups, and more. 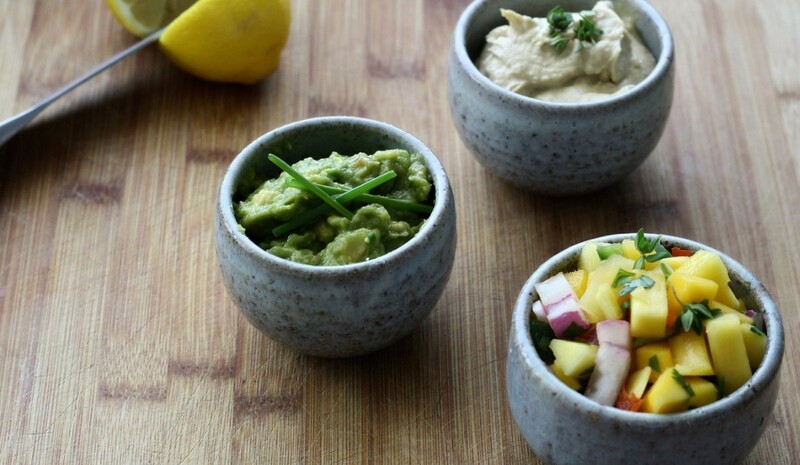 With so many ways to add avocados to your diet, you’re sure to find one that works for you. Carotenoids like those in avocado have some unusual benefits. In our last issue, I wrote about how lycopene actually protects you from radiation damage. If you missed the story, it’s running again just below. . .
1 What are the key statistics about acute myeloid leukemia? 2 Targeting mitochondria with avocatin B induces selective leukemia cell death. 4 Pitting avocados against leukemia stem cells. 6 Avocado seed husks could be a goldmine of medicinal and industrial compounds. 7 Folic acid inhibits nasopharyngeal cancer cell proliferation and invasion via activation of Fra/ERK1/TSLC1 pathway. 8 Dietary carotenoids, serum beta-carotene, and retinol and risk of lung cancer in the alpha-tocopherol, beta-carotene cohort study. 9 Food based carotenoids may lower lung cancer risk: Study. 10 Vitamin E succinate is a potent novel antineoplastic agent with high selectivity and cooperativity with tumor necrosis factor-related apoptosis-including ligand (Apo2 ligand) in vivo. 11 Vitamin E succinate promotes breast cancer tumor dormancy.